Dr. T. Ray Ruffin retired from the United States Navy and currently teaches face-to-face classes during the day, evening, and online as full-time and adjunct faculty. Member of University of Phoenix Research Center for Workplace Diversity focusing on the different dimensions of diversity and their impact on the Workforce and successful management and leadership. Affiliated colleges and universities include the University of Phoenix School of Advanced Studies (SAS) since 2015. Dr. Ruffin is Faculty Member and Dissertation Chair for the University of Phoenix, School of Advanced Studies, focused on the Doctoral Proposal for approval. Dr. Ruffin has received 11 Honorarium Awards and 6 Excellence in Publishing Awards. Dr. Ruffin is an Associate Professor within the College of Business and Management for Colorado Technical University, since 2103. Dr. Ruffin has received 9 Adjunct Faculty Funding Awards. Dr. Ruffin is a Dissertation Chairperson for College of Doctoral Studies, Grand Canyon University, since 2017. Dr. Ruffin facilitates Masters of Health Administration for College of Health, Human Services, and Science, Ashford University, since 2017. Dr. Ruffin facilitates Business and Computer Courses for Adult and Professional Studies, North Carolina Wesleyan College, since 2017. Instrumental in the course and syllabus development and received 2015-2016 Applied Benchmarking Grant Award and 2015-2016 Continuing Training Honorarium Award Grant for Faculty Honorarium Program from Wake Technical Community College. Dr. Ruffin is past member and officer of North Carolina Community College Faculty Association (NCCCFA), where he served as Vice President of Communications. North Carolina Computer Instruction Association (NCCIA), aiding the Leadership Team. 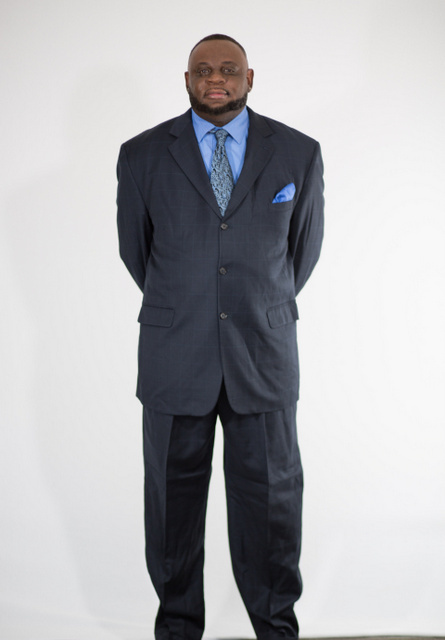 Dr. Ruffin has over twenty years of management (including financial management), and information technology experience. Sponsors the Jack and Argavick Scarboro (grandparents) Memorial Scholarship through the North Carolina Computer Instruction Association (NCCIA) for students majoring in Health Information Technology (HIT); Health Care Management (HMT); Health Care Technology (HCT): Health Care Interpreting HCI); and Business Health Informatics (HBI). Sponsor for the Dr. T. Ray Ruffin Scholarship through Wake Technical Community College Foundation for students with financial need in Networking and Computer Technology Degree Programs. Creator and founder of the Dr. T. Ray Ruffin Scholarship in partnership with Everlasting Life Christian Church (ELCC) of Apex North Carolina, Pastor Stephen Lyons, for students attending trade schools, colleges, and universities. Dr. Ruffin's educational background has spawned and spanned a Bachelor of Business Administration from Northwood University. The completion of four graduate degrees, Master of Arts in Organizational Leadership, Master of Science in Human Resources, Master of Health Administration all from Chapman University, and Doctorate of Business Administration with a concentration in Information Systems from Argosy University. Additionally, Dr. Ruffin completed Post Doctorate Certificate in Health Care Management and Leadership from Colorado Technical University. Dr. Ruffin’s research interest includes technology and leadership on all levels with a specialty for Health Information Technology (HIT). Additionally, he is a reviewer for IGI Global, Dove Medical Press Journal Reviewer for Advanced Health Care Technologies; Journal of Healthcare Leadership; Patient Preference and Adherence; and Patient Related Outcome Measures, Risk Management and Healthcare Policy. Editorial Advisory Board Appointment for the Journal of Emerging Trends in Healthcare Administration with Wyvern Publishing Group (WPG). Journal of Emerging Trends in Healthcare Administration with Wyvern Publishing Group (WPG).